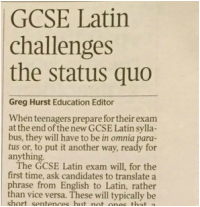 Mary Beard: "From gladiators to steamy love poetry – learning Latin gives you direct access to some of the most influential literature the world has produced"
Do you speak Latinate or Anglo-Saxon English? 'My bad' or 'my error'? JK Rowling and Martha Lane Fox did a degree in it; celebrities Angelina Jolie and Justin Bieber have it tattooed on them; it's now taught in more schools than at any other time in recent decades. 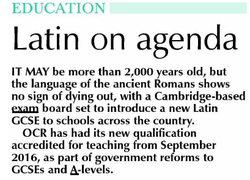 It's official – despite being over 2000 years old, Latin remains officially hip. 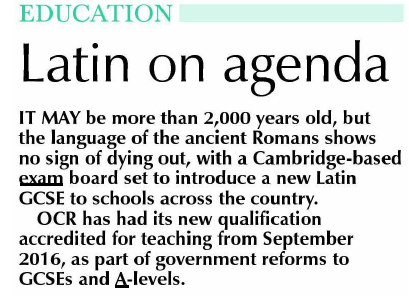 OCR, the only English exam board to offer Latin at both GCSE and A Level, confirmed on 17 December that Ofqual has accredited its new Latin GCSE for teaching from September 2016.